Bite-Size Gardens - Gardening Blog | "Your Small-Space Water-Wise Gardening Experts"
Air layering – an ancient technique – is a propagation method where the branch or stem to be propagated stays where it is, and rather than being buried in the ground, is wrapped in a selected grow medium (in this case sphagnum peat moss) , where it will grow new shoots. Air layering gives the benefits of producing plants genetically identical to the parent, along with quicker maturing plants – in this case, capable of producing fruit much earlier then if grown from a smaller and younger cutting. The Zibibbo grape vine (white grape) is considered an “ancient vine”. Wine experts believe it is one of the oldest genetically unmodified vines still in existence. Colorful Lavender and Sedum blooming in the front-yard garden. Very fortunate in given the brief chance in taking this photo of a mother hummingbird sitting in her nest. The nest sits securely between two Ficus branches. 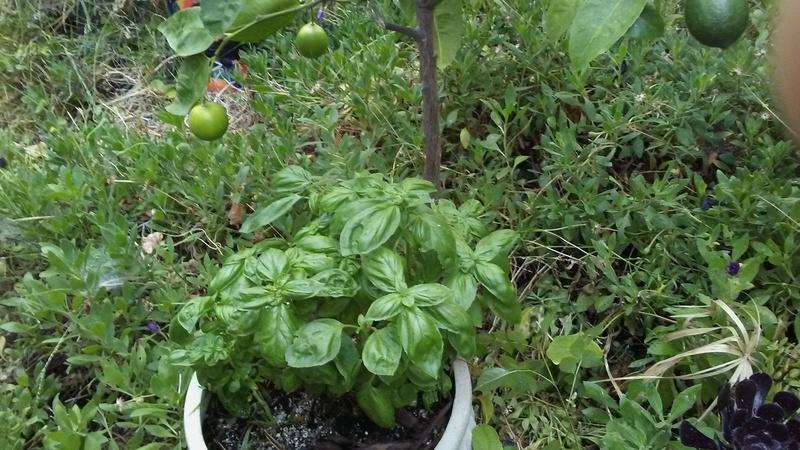 Keep your basil growing well through Summer and into Fall by growing it semi-shaded areas, and occasionally pinching off the top growth where it wants to go to seed later in the growing season. Growing More Basil . . . Growing more Basil from cuttings is easy and fun. 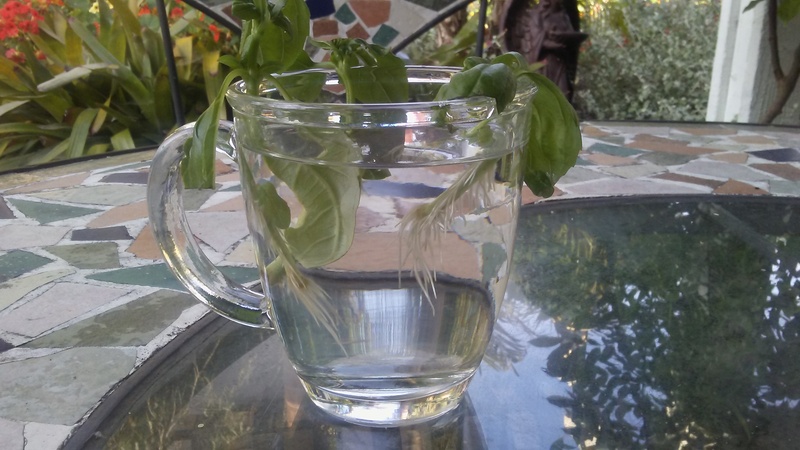 Just take a few Basil cuttings (3″ to 4″) and place in a clear glass cup of water. Change the water in the cup every 2 to 3 days, and in about a week, roots will start forming along the stems. The ones shown in the photo are ready for planting. 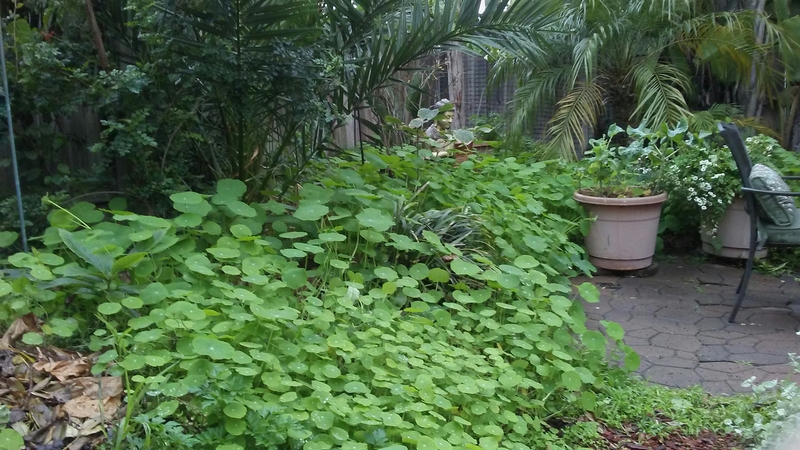 Keeping Basil plants pruned, along with planting them deeply, result in sturdy and bushy plants.